It’s already a tradition to chant “new year, new resolution” at this time of the year. We all want to be a better person; new year, new personality ideology! It’s a good thing, unfortunately research as shown that out of only 8% of people tend to stick to them in the new year. Have you ever wondered why? Your life is a sum total of decisions you make. An adult makes about 30,000 decisions every 24hrs. In contrast, young children only make about 3,000 decisions each day. Each and every of this decisions controls our actions, our actions makes and mar us. With this, I think you have an iota of the point I’m trying to prove; A decision you make in the recess of your mind because it’s a “tradition” doesn’t control your life for 365 days. YES! change is inevitable, we should aspire to be better, we should pursue greatness, we should set goals that serves as roadmap to apexed fulfilment, we should yearn for success stories that imprints our steps on sands of time, but new year resolution is not sufficient. Personally I believe so much in auto-suggestion (an influencing of one’s own attitudes, behavior, or physical condition by mental processes other than conscious thought), it helps a lot. As a new year gift, here are a number of new year resolutions you probably wouldn’t stick to and alternatives to them. This sounds simple and easy but is actually arbitrary. Emotions and responsiveness to life can vary from day to day, so what’s more positive one day could be totally different the next. Instead, resolve to choose gratitude and happiness daily, focusing specifically on replacing negative habits and thoughts with positive ones. This resolution is a noble one that everyone should adopt but there will likely be behaviors and obstacles getting in the way of your ability to see it through. Having ‘more time’ to spend with loved ones unfortunately comes down to logistics and priorities, which are almost always changing due to time availability and schedule changes. Instead, take the time to assess and evaluate your life from an outside perspective. Based on how you spend your time, what is obviously important to you? Determine your true priorities and devise ways to devote time and attention to pursuing them. Ultimately, improving your relationships improves your overall satisfaction in life, but simply stating that you want to improve your relationships leaves too many variables in the hands of others. Having love in your life is always a beautiful intention, however, allowing the natural process to unfold is even more beautiful when the intentions are pure. When we’re ‘looking’ for something as humans, it naturally infers that we’ve lost something, but a relationship cannot be lost when it is not yet discovered. Instead, make a resolution to become more aware of your strengths and values, and develop a plan to meet more people within a certain time frame. If there are problems in your relationship , try intending to receive kindness, understanding, and love in your new year instead of focusing on a single goal to destroy what you’ve built. While it could be that the other person is truly is not right for you and you would be happier without them in your life, pinning the idea on a new year’s resolution that will dramatically happen with a change in season can be tricky. Instead, if you’re in the midst of a challenging partnership, you might make the resolution to research options for improvement, such as setting an appointment with a marriage counselor. Prolonging such a huge decision allows you ample time to truly contemplate the final results of such a split. In conclusion, Setting goals gives you long-term vision and short-term motivation, It focuses your acquisition of knowledge, and helps you to organize your time and your resources so that you can make the most of your life. Having a new year resolution is akin to setting goals. But you need keep motivating yourself, the power of auto-suggestion is legendary. 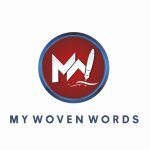 My Woven Words wishes you a fulfilled and fun-filled year ahead. I’m a Writer, Historian, Computer Scientist, Management Information System Expert, Blogger, Web Developer, Web Content Creator, Culture Activist, A Bowen University Student (Proudly Bowenite), and a friend-to-all. Feel Free to Contact me on Anything. DISCOVER! ; DOES THAT PERSON LOVE AND VALUE YOU JUST AS MUCH AS YOU DO? INTRODUCING; OBVIOUS REASONS WHY YOU DESERVE FINANCIAL FREEDOM! I really appreciate it dear?? This is beautiful. Setting new year Resolutions is akin to setting your life goals but one must constantly motivate him or herself or no one will. Amazing write up Johnson!